AZzardo Ruben single light floor lamp in polished chrome finish with beige acrylic rippled shade. The product code for this fitting is AZ2406. An unusual design perfect for modern or contemporary spaces. 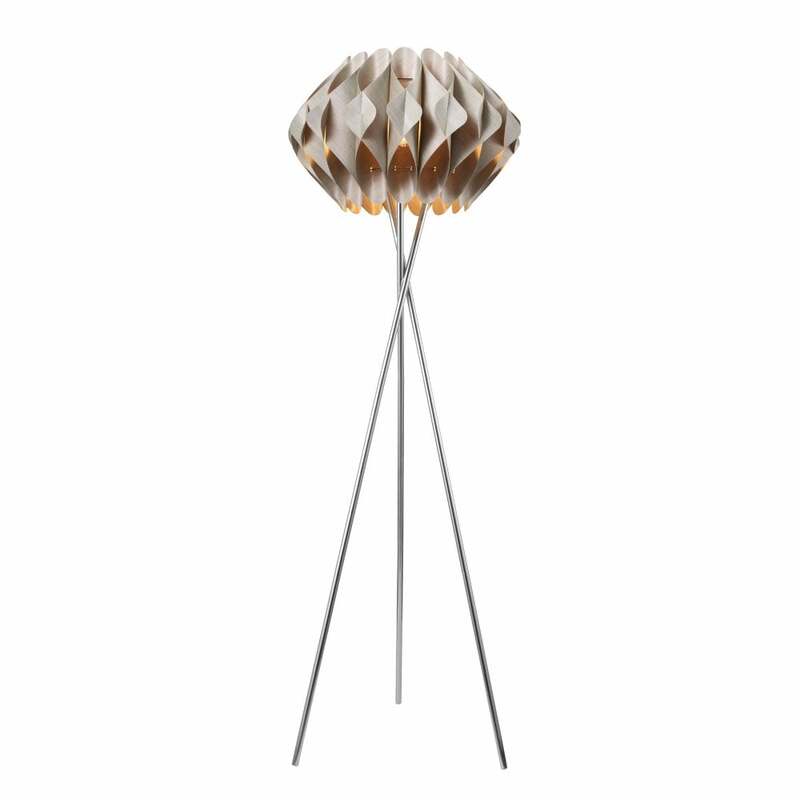 The Ruben floor lamp features a tripod style base with a rippled beige shade creating that quirky look in your home. Finished in polished chrome, this remarkable light can be matched with a medium or large ceiling pendant which can be viewed and purchased via our website. Take a look at the Ruben collection by simply typing "Ruben" into the search bar.